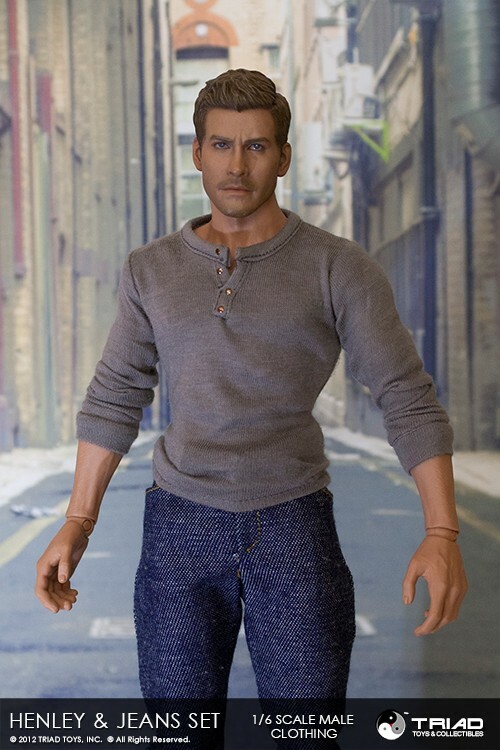 One of our most requested items is the simplistic henley and jeans set. 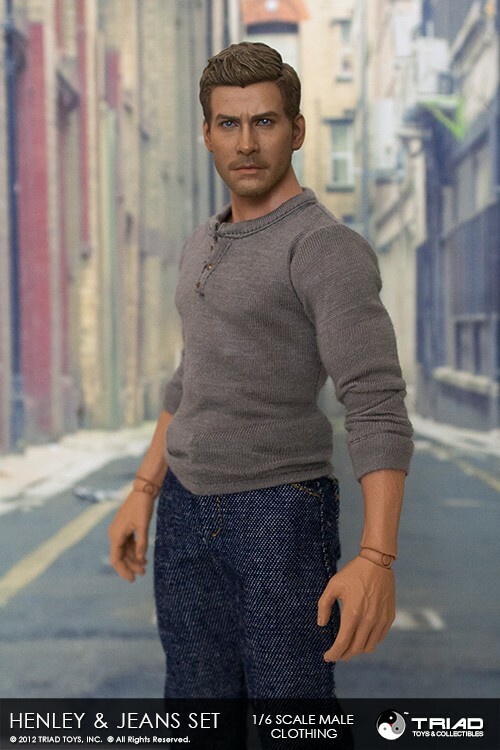 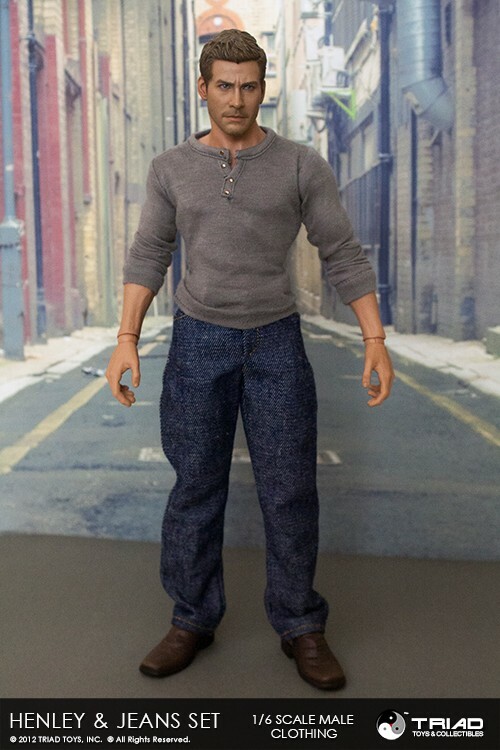 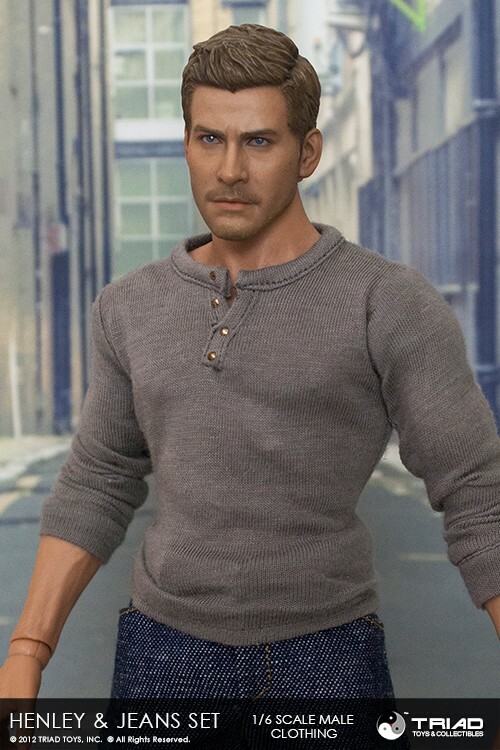 Made with a fine jersey knit and fitted for both the Triad Toys Evo body as well as the Hot Toys Muscular True Type body, this set features a universal fit for almost any 1/6 scale action figure body on the market. The set includes a taupe/grey colored henley and dark blue denim jeans.